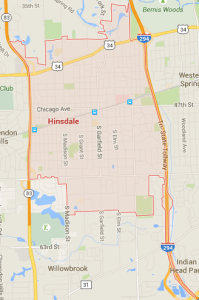 Are You Selling or Buying Property in Hinsdale, IL? | Fournier Law Firm, Ltd.
Are You Selling or Buying Property in Hinsdale, IL? Known as one of the more prosperous towns in Illinois, Hinsdale has rolling hills, a boutique-like downtown, and easy access to Chicago’s lakefront. Beautiful homes with a 60521 ZIP Code abound. The lovely community of Hinsdale continues to build and renovate, making it one of the more desirable places in Illinois to live and work. Many investors and families look to Hinsdale and other pleasant communities in DuPage and Cook Counties for vacant land, houses and condominiums, vacation homes, and commercial property. Although many buyers and sellers think they only need a lawyer to represent them at their real estate closing, serious problems that may delay or prevent the transaction from closing can often be avoided by consulting with a real estate attorney before entering into a property sales contract. To protect your valuable investment, meet with a real estate attorney from Fournier Law Firm, Ltd.. Call 630-792-1000 to make an appointment or use our online contact form to tell us about your needs. Do not make the potentially costly mistake of handling your own real estate transaction. Protect your investment with an experienced real estate attorney. Call Fournier Law Firm, Ltd. at 630-792-1000 or ask about our services by submitting our online contact form. Are you having difficulty making your mortgage payments? Are you facing a foreclosure? If so, a short sale is a possible option for you. Short sales allow homeowners to sell their homes for less than the balance owed on the mortgage. By hiring a short sale attorney to negotiate on your behalf, you may be able to avoid having your lender seek a deficiency judgment against you. The goal is to let you walk away from your home without owing the lender any money. Not every seller qualifies for a short loan and lenders may be reluctant to enter into such a transaction. For these reasons, you need a short sales attorney to advise you so that you will know whether this or some other option is the most reasonable way to handle your unfortunate situation. Our firm also handles commercial real estate transactions. We help businesses that want to lease retail or office space as well as businesses that want to purchase an existing building or acquire land and construct a building to suit their needs. We also advise commercial property owners who are relocating or closing their businesses and need to sell their properties. Commercial property transactions benefit from a commercial real estate attorney who has years of experience dealing with intricate issues involving offices, retail space, restaurants, factories and plants, and other business-related properties. Zoning laws, environmental regulations, building and safety codes, and a variety of other laws need to be considered in any commercial real estate venture. Henry J. Fournier will work hard to implement your business property decisions while protecting your from liability. Fournier Law Firm, Ltd. has the experience to handle all aspects of your real estate transaction and the dedication to give your matter the focus and attention it deserves. Contact us today by calling (630) 792-1000 or by submitting our convenient online form.